There have been so many books and papers published through the ages it would be impossible to include them all but an attempt will be made to include a good few. The paperback edition of my book on three local girls from Bradgate Manor, The Sisters Who Would be Queen; the tragedy of Mary, Katherine & Lady Jane Grey, is published this month. It has new material in it, such as my discovery of a number of frauds concerning Lady Jane Grey. I believe it is on some kind kind of special offer at Waterstones. There has been quite a bit of publicity about Jane recently with the opening of the Delaroche exhibition at the National Gallery. I gave a talk there on Friday (scary) and am giving another at the National Portrait Gallery on May 13th. Anyway, I hope some of you out there miLeanda de Lisle is the author of 'After Elizabeth'. She was educated at Somerville College, Oxford, where she took an honours degree in Modern History. 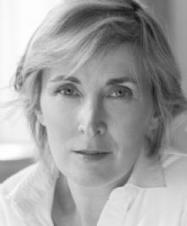 A successful journalist and writer she has been a columnist for the Spectator, the Guardian, Country Life and the Daily Express, as well as writing for the Daily Mail, the New Statesman and the Sunday Telegraph. She lives in Leicestershire with her husband and three children.ght enjoy the book! Leanda de Lisle, Osbaston.